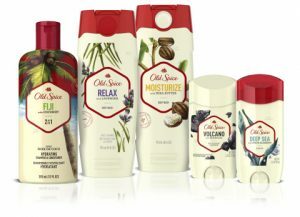 CINCINNATI — Old Spice has introduced its all-new Fresher Collection, offering real body wash benefits forged from real ingredients – like Deep Scrub with Deep Sea Minerals, Exfoliate with Charcoal, Moisturize with Shea Butter, Cooling with Mint and Relax with Lavender – that help guys elevate their grooming regimen. The all-new Fresher Collection also infuses new fresh scents and anti-perspirant/deodorant technology that goes on smooth to combat visible residue, so guys don’t have to worry about white marks on dark shirts. 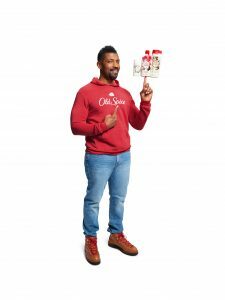 With Cole’s extensive background in acting, comedy and writing, it was natural for him to join the ranks of legendary Old Spice Guys and the brand known for its hilariously smart advertising campaigns. Cole stars as Charlie in ABC’s Black-ishfor which he received a NAACP Image Award nomination for “Outstanding Supporting Actor in Comedy Series” and ABC Family’s Grown-ish. He’s also the host of BET’s game show Face Value with Tiffany Haddish. Cole received his first Emmy nomination as a staff writer for NBC’s The Tonight Show with Conan O’Brien.